Another interesting observation made by many of the participants in these experiments was when they raised their hands into the apex, they experienced a pricking sensation, as if tiny needles were being stuck into the extremity. The experimenters also reported that there are some spots in the pyramid which are not beneficial for example, individuals who stood or sat in one particular spot inside the pyramid experienced headaches within a very short period of time. Allegedly, the most beneficent energies inside the pyramid are focused within the so-called heart center. This is the spot which is probably the “safest” for the incubation of thought-forms. However, it has been suggested that different thought-forms might best be incubated at different spots in order for the person inside the pyramid to receive the energy most advantageous in fulfilling the specific thought-form. The organization claims that they have also had excellent results with experimental attempts to use the pyramid to relieve migraine-type headaches. Many other claims have been made as to the healing properties of pyramids and many attempts have been made to explain these properties. 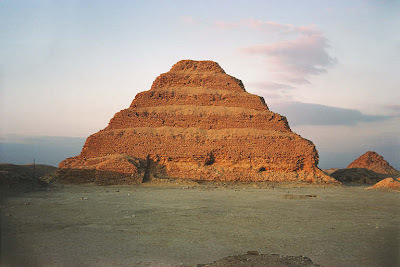 One theory is that the pyramid focuses and intensifies unidentifiable energies to the extent that healing is possible. Another theory is that the atmosphere inside the pyramid stimulates an acceleration of enzyme action which accounts for the effects of mummification, preservation and possibly even the intensity of meditation. This explanation has lead one physician to suggest that the pyramid might be useful in the treatment of intractable edema and even possibly as an aid to organ regeneration. This leads to the speculation that in the near future, hospitals will store vital organs for transplant purposes in pyramid-shaped containers. One amateur pyramid researcher in Illinois suggests that the pyramid might be useful in the healing, or alleviation, of arthritis or rheumatism. She advises the sufferer to place the hand directly under the apex of a miniature pyramid, with the palm either up or down. Within seconds a tingling sensation will be felt in the hand, caused by a powerful vortex of energies spiraling within the pyramid. She claims that in order to “fully charge” the hand, levitation of the extremity must take place inside the pyramid. Ostensibly, after approximately seven minutes inside the pyramid, the hand will begin to hover of its own volition. The hand is then fully charged and may be removed from the pyramid. Possibly, in the process of levitation, the hand has risen to the one-third level, where the* sharpening and preserving powers act as an healing charge. Many individuals have recently acquired pyramid tents which they use for meditational purposes. These people claim they experience a range of feelings from calmness to extreme euphoria during their meditation sessions. The most common syndrome seems to begin with a relaxation of the body, then a shutting out of unnecessary external stimuli and irrelevant thoughts and a final achievement of an altered state of consciousness which allows the individual to concentrate on deeper inner levels. “I” when inside the pyramid, and some claim to receive wisdom and insights from higher planes. There are reports of experiences of precognition, interplanetary travel, telepathic communications, answers to prayers, and over-all revitalization of the entire being. Since these astounding assertions have not been recorded under control conditions they can only be considered hearsay. However, it may be possible to use some of the brain wave recording technology to substantiate or refute at least some of these metaphysical claims.